Getting from one place to another sounds easy if you are on a straight piece of land, but what if you have to get over―or under―a body of water or a deep gorge? Build a bridge! Bridges are the great connectors. They allow us to travel the twists and turns, highs and lows, ins and out of every geographic feature in our world. Explore Bridges! 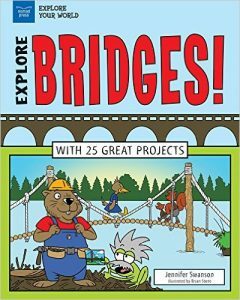 With 25 Great Projects introduces readers ages 7 to 10 to the concepts and vocabulary of bridge construction through the lenses of history, science, engineering, math, and technology. From the Golden Gate Bridge in San Francisco to the Tower Bridge in London, bridges are a huge part of our life. But how are these amazing structures built? What forces keep it standing? What might cause it to fall down? And who decides which type of bridge to use? In Explore Bridges, readers discover how these extraordinary feats of engineering are created, and apply what they have learned to hands-on, critical-thinking activities that include building different types of bridges, such as truss, cantilever, and suspension bridges, out of different materials and modeling different types of supports. They examine the natural forces that affect structure selection and appearance, and also learn about the types of support required for each. 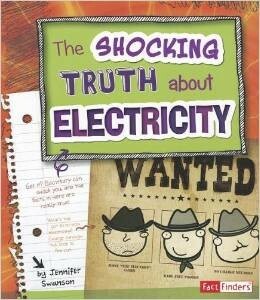 Trivia, cartoon illustrations, links to online videos and other sources, and clear diagrams round out this book and make it fun and interesting for class discussions. Discover the stories of the real people and events that shaped American history in the Real Stories From My Time series. Perfect for book reports with full-page illustrations throughout, these nonfiction chapter books also include historical photos, maps, a timeline, a glossary, and a bibliography at the back. Plus, in each book, an American Girl historical character shares a bit of her own fictional story. 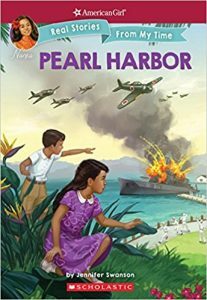 Pearl Harbor features real stories of that fateful Sunday morning in 1941 when Japanese planes executed a surprise attack on the American base at Pearl Harbor in Hawaii. American Girl Nanea Mitchell shares her own experiences adjusting to the drastic changes to everyday life in Hawaii following the attack. 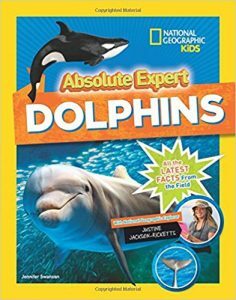 Kids who have a laser focus on dolphins will learn everything they’ve ever wanted to know about them in an eye-catching, page-turning book for aspiring experts, featuring exclusive content from a National Geographic explorer currently in the field. Hey, dolphin fin-atics! Get ready to dive into the world of your favorite fabulous marine mammals in this action-packed book chock-full of awesome facts, photos, and fun! Join National Geographic explorer and dolphin expert Justine Jackson-Ricketts to get the latest, most up-to-date dolphin intel straight from the field, plus fun facts, in-depth info, and awesome trivia about every kind of dolphin under the sun (and beneath the waves). 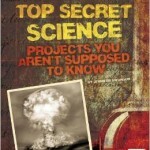 It’s the ultimate book to help YOU become an absolute expert on one of your favorite topics. Space and the ocean. If you don’t think they go together, think again! Both deep-sea and space explorers have to worry about pressure, temperature, climate, and most importantly, how to survive in a remote and hostile environment. Join us on an amazing journey as we go up in space with astronauts and dive deep down in the ocean with aquanauts to explore the far-off places of our planet and the solar system. 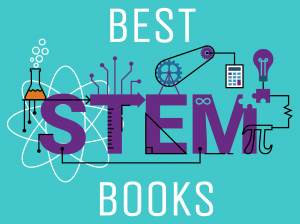 With a strong tie into STEM topics–such as making connections, making comparisons, and recognizing patterns across content areas–readers will discover the amazing science and incredible innovations that allow humans (and sometimes only machines) to survive in these harsh environments. 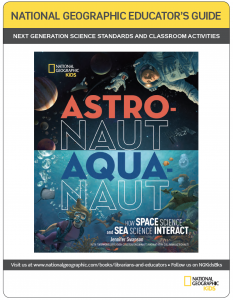 2019 Winner of Best STEM Books List by National Science Teachers Association. 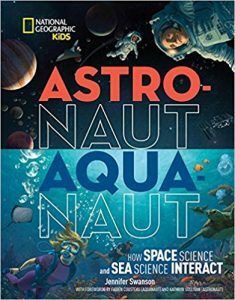 Astronaut/Aquanaut is a challenging book to read. 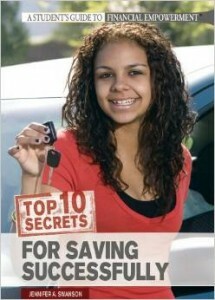 There is a great deal of information packed into each page. Yet it is compelling. I believe that there are plenty of intelligent, ambitious kids out there who dream of exploration and will savor every word of this book. Ms Swanson is one of THE best speakers we have ever hosted. Her content (Astronauts) was the perfect tie in to our Right to Read Week. The manner in which she actively engaged our LARGE student population was amazing. As a principal, I have booked many speakers for our students who are very knowledgeable about their content; but can not command the attention of 200 1st graders for 45 minutes. Ms Swanson has both of those abilities. She spoke to our entire student body, 1200 students, in groups of 200 and was able to touch on areas with each group that was relevant to their science curriculum. You would be remiss if you did not consider having Jennifer Swanson participate in your event. 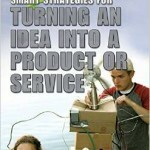 Have you ever tried to come up with ways to solve a problem in your community? 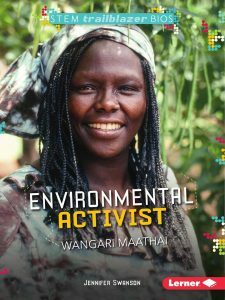 Wangari Maathai worked to solve an environmental crisis and help people at the same time. When Maathai was young, it was unusual for girls in Kenya to go to school, but she was determined to learn more about science and nature. As an adult, she noticed that people were cutting down too many trees. Maathai knew that forest loss was bad for the health of the environment and people. She started the Green Belt Movement, which educated women in rural villages and paid them for every tree they planted. The program helped plant millions of trees and brought money to the villages. For her environmental and human rights work, Maathai became the first African woman to receive the Nobel Peace Prize. “Most scientists agree that Earth is warming rapidly. Glaciers are melting and rising seawaters are submerging islands and coastal cities. In the coming decades, millions will likely have to escape extreme weather caused by climate change. Love to work with animals? Zoology is the study of everything having to do with animals, including how and why they look, act, and behave in their environments and with other animals. As a zoologist, you might study how elephants solve problems or take care of tigers at a zoo. 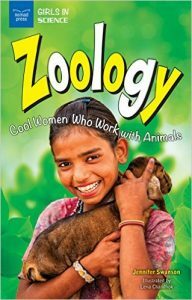 Zoology: Cool Women Who Work With Animals introduces readers to three women in the field of zoology who are making an impact and inspiring the next generation of zoologists. Emily Kim is a graduate student in Canada studying different species of birds. Elise Newman works as a zookeeper at the San Diego Zoo Safari Park. Dr. Erin Seney is a sea turtle researcher with the University of Central Florida. Take to the skies with Planetary Geologist Dr. E and her robot sidekick, Rover, to explore the solar system’s wildest, most astronomical geology–with comic book flair! 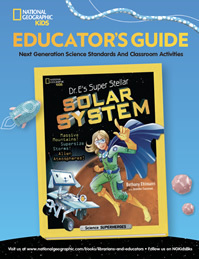 This stellar book introduces kids to outer space through in-depth info and comic book adventure. 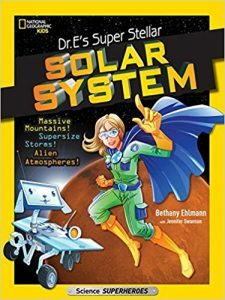 Along the way, kids follow explorer Bethany Ehlmann, a member of the NASA Mars Rover Curiosity mission, and her lovable robo-dog, Rover, as they study and protect our amazing solar system. Dr. E’s conversational and funny explanations of the solar system and planetary geology will pull kids in like gravity. The pairing of fun, graphic novel side stories with science facts makes big concepts accessible and interesting to boys and girls of all levels, from STEM science fans to reluctant readers alike. TEACHERS: Download your discussion guide here! Feeling inventive? 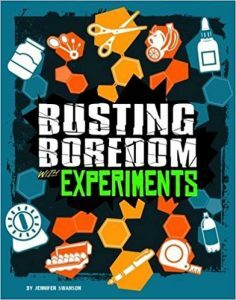 Get ready to bust boredom with simple experiments! You can learn how to create lightning bolts, build a catapult and much more. With clear instructions and helpful photos, Busting Boredom with Experiments has never been more fun. When Thomas Jefferson negotiated the Louisiana Purchase in 1803, he needed a team to survey that vast, unknown expanse of land. He chose Meriwether Lewis and William Clark. Together, they led the Corps of Discovery, a team of intrepid explorers across a wild, dangerous country. 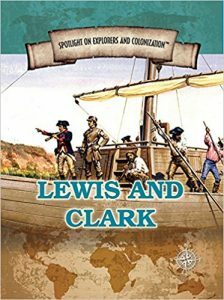 Readers will understand the impact Lewis and Clark’s expedition had on American history in this detailed account. Follow their journey across roaring rivers, vast plains, and untrod paths, and learn about the Native Americans they met, the fierce wildlife that threatened their lives, and the hunger, sickness, and injury that dogged them from start to finish. As spectacular as its creation was, the fall of the Mongol Empire was just as remarkable. Its descent into chaos was signaled by inter-family rebellion across the four khanates established by Genghis Khan. As weaker Mongol leaders struggled to retain control, drought, flood, famine, and the bubonic plague eventually contributed to the collapse of each khanate. As this volume amply demonstrates, though the Mongols were fierce warriors, their legacy also includes a culture of honor and discipline, centralized government structure, trade promotion and communication routes, and religious tolerance, all of which helped spread wealth, information, and technology across two continents. 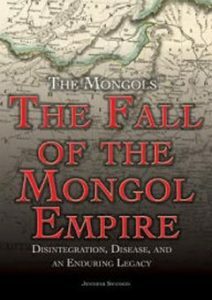 At its greatest extent in the 13th and 14th centuries, the Mongol Empire stretched from northeastern Europe to northern China and the Pacific, and this well-written set covers its entire history, from founding to expansion and enormous influence to decline... The Mongol empire is an often overlooked part of history, and this set gives it the attention it deserves. VERDICT A first purchase for middle school and early high school students. Everything moves! Kids run around the playground, cars drive on the road, and balls fly through the air. What causes all this motion? Physics! Forces and motion rule the way everything moves through space. In Explore Forces and Motion! With 25 Great Projects, readers ages 7 through 10 discover that the push and pull of every object on the planet and in space depends on how a force acts upon it. Things float because of a force called buoyancy, we stick to the ground because of a force called gravity, and we make footprints in sand because of a force called pressure. Physics becomes accessible and interactive through activities such as a experimenting with a water cup drop, building a bridge, and spotting magnetic field lines. Simple machines such as levers, pulleys, and wedges are used as vehicles for discovery and comprehension of the foundational concepts of physical science. Using a theme familiar to everyone—motion—this book captures the imagination and encourages young readers to push, pull, twist, turn, and spin their way to learning about forces and motion. 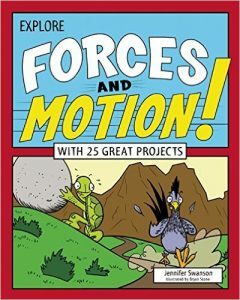 Physics is fun with this colorful and informative book for students ages 7–10.Using the theme of motion, the book encourages readers to push, pull, spin, twist, and turn their way to learning basic concepts of force and motion. 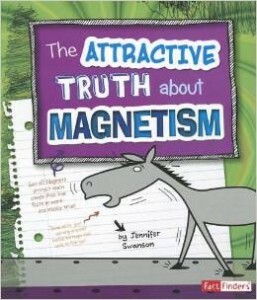 There are ample activities and projects throughout the book that provide the reader with ways to explore forces and motion and learn basic concepts while having loads of fun. 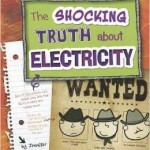 Students will enjoy the fun graphics in the book. 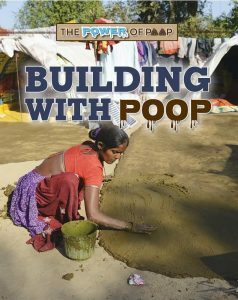 This book would be excellent as a textbook for young readers. 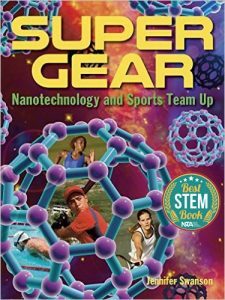 Listed as one of the 2016 Best STEM Book by the National Science Teachers Association. How are the sports played by Michael Phelps, Serena Williams, Michelle Wie, and Usain Bolt related? Nanotechnology! Take a close-up look at sports and nanotechnology, the cutting-edge science that manipulates objects at the atomic level. Nanotechnology is used to create high-tech swimsuits, tennis rackets, golf clubs, running shoes, and more. It is changing the face of sports as we know it. 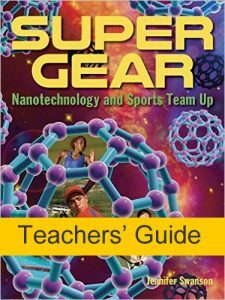 Swanson is splendid at explaining how nanotechnology works, and boxed asides help readers conduct experiments on drag, surface area, and such. A highly engaging introduction to an exciting aspect of cutting-edge, real-world science for STEM collections. This reader-friendly introduction to nanotechnology breaks down the science and describes the processes of nano-manufacturing in a clear and understandable way. Packed with photographs, diagrams, and text boxes, this book will appeal to athletes and sports enthusiasts—and the curious. Colorfully illustrated by photos, this book introduces “the science of the very small” as applied to sports equipment and clothing… An up-to-date look at the intersection of technology and sports. Download your free teacher’s guide! They fix spacecraft, dance, tell jokes, and even clean your carpet! From the tiniest robo-bees to gigantic factory machines, robotics is all around you. This technology isn’t just for science-fiction anymore — it’s real and more relevant than ever. With stunning visuals and energetic, impactful design, readers won’t stop until they’ve learned everything there is to know about robotics. 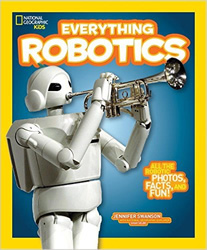 This book is chock full of text and visual information about robotics. It will take readers days and many close re-readings to digest all the information provided about the history of robotics, the influences of robotics on facets of our lives, and how to get involved with robotics challenges. These titles are designed for casual browsers and more serious readers alike. The four chapters, introduction, and afterword offer a planned route through these ambitious overviews, while the mini-bites of information keep them friendly.VERDICT These resources present accessible fun; both will find eager audiences. QUICK: Name the most powerful and complex supercomputer ever built. Give up? Here’s a hint: It’s housed in your head and it’s the one thing that makes you YOU. Your brain is mission control for the rest of your body and steers you through life. Not bad for something the size of a softball that looks like a wrinkled grey sponge! 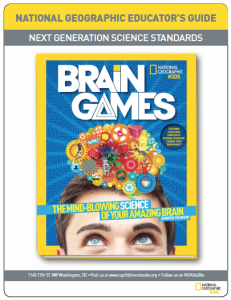 In this fascinating, interactive book — a companion to the National Geographic Channel hit show – kids explore the parts of the brain and how it all works, brainy news nuggets from a neuroscientist, plus fun facts and crazy challenges. Love the Brain Games book but need ideas for how to incorporate it into your classroom? Never fear! The Teacher Guide is HERE! 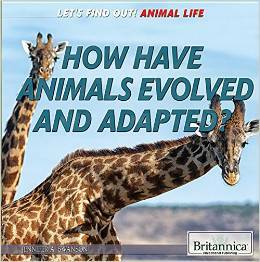 Click below to download a FREE copy of The National Geographic Educator’s Guide for the book! Each year 12,500 school children ages 5–12 from different regions of the United States read newly published children’s and young adults’ trade books and vote for the ones they like best. 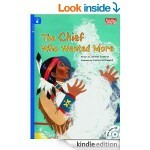 These Children’s Choices, selected from more than 900 titles, can be counted on as books children really enjoy reading. This colorful book is full of cool optical illusions, memory tests, and pattern finding challenges paired with clear and energetic explanations of the neuroscience behind them. 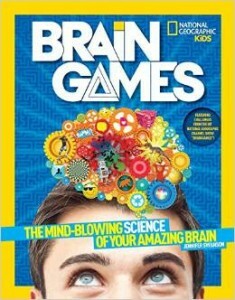 Swanson’s Brain Games is a fun and informative read that will propel kids to explore their own brain power. GR 8 UP—As the world becomes increasingly more tech-based, students and consumers must learn how to operate efficiently and effectively within that framework. 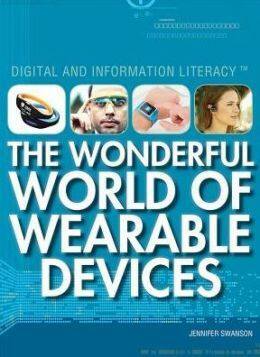 In order to help readers become well informed, this series discusses the benefits and drawbacks of several technological advances that are permeating education and industry today, as well as ones that teens may or may not already be using in their daily lives. The books are well structured and clearly written, but the text can be extremely detailed and dense. A background in technology isn't an absolute requirement, but these books are not for total Luddites: teens need to have some awareness of context and terms. (A glossary does help with this. )VERDICT Considering the rapid evolution of tech, educators may wonder how relevant this set will be in a few years, but readers will most likely take an interest in certain topics and can certainly benefit from learning more. Engineers design our modern world. They combine science and technology to create incredible vehicles, structures, and objects. 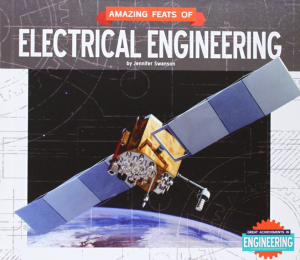 This title examines amazing feats of electrical engineering. 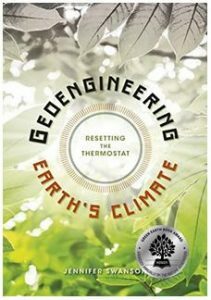 Engaging text explores the global positioning system, solar power plants, and self-driving cars. 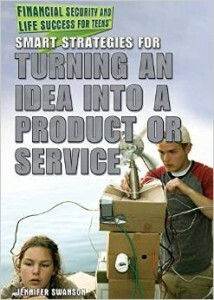 It also examines the engineers who made these projects a reality and traces the history of the discipline. Relevant sidebars, stunning photos, and a glossary aid readers’ understanding of the topic. A hands-on project and career-planning chart give readers a sense of what it takes to become an engineer. 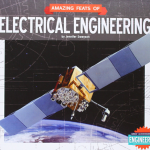 Additional features include a table of contents, a selected bibliography, source notes, and an index, plus essential facts about each featured feat of engineering. Aligned to Common Core Standards and correlated to state standards. Essential Library is an imprint of Abdo Publishing, a division of ABDO. 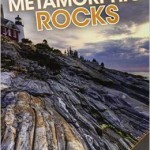 Gr 4-7-Readers will be fascinated by this intermediate series and its appreciation for all things rock. 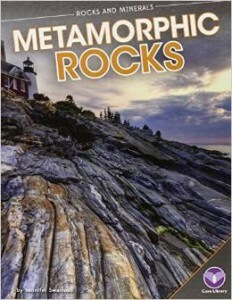 Filled with vibrant images of crystals and gems that jump off the pages, these informative volumes explore the field of geology in easy-to-understand texts. Deadly bombs. Human experiments. Spies and black ops. 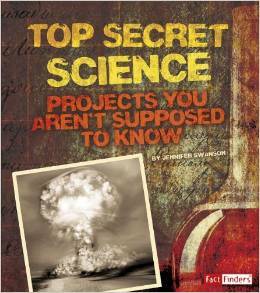 Top secret projects arent just the stuff of fantasy in books and movies. They are real, and some are even happening right now. 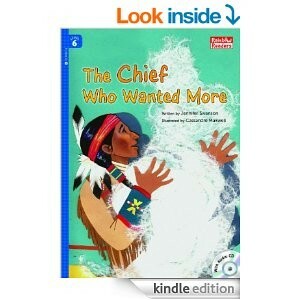 A Native American man wants to teach his son not to be greedy. So he tells him the humorous story of Great Fox, a chief who didn’t know how to be satisfied with what he had—until he learned the hard way. The largest country in the world has a colorful history and is very diverse in both geography and culture. 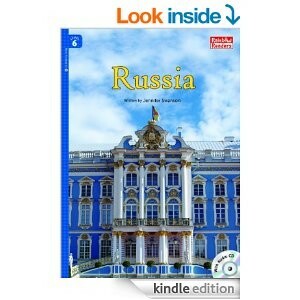 This book provides a helpful introduction to Russia’s past and present, from Viking rule to Stalin to the proud Russian Olympic team. This book provides readers with many interesting factual details about the British nation. Starting with its geography and moving on to its complex and long history. The book charts Britain’s rise as an empire to its fight for existence during World War II. 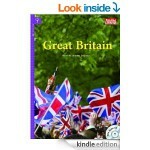 The book then goes on to talk about modern Britain and modern British culture. A bat walked into a magnetic field and stuck. Get it? 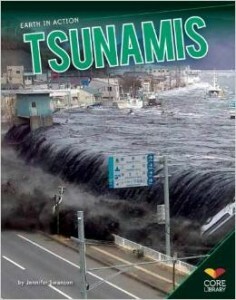 If you dont get this joke, you need this book! 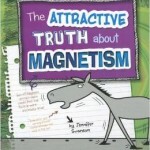 Itll teach you everything you need to know about what makes magnets work. The answers will attract your curiosity. What do you call a power failure? A current event! Get it? If you dont get this joke, you need this book! Itll teach you everything you need to know about the power that powers your world. The answers might shock you! Girls will say, "Eww, yuck!" and walk away. Boys will say, "Gross!" and read the series. From the enlarged microphotographs on the covers, the reader's eye is drawn to the topics. Helpful study tools include bolded words defined in a word box, and labeled microphotographs. 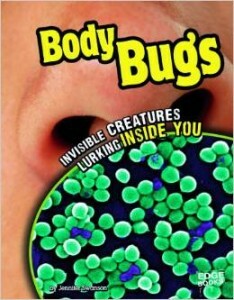 All books discuss the harmfulness of uncontrolled microorganisms, but also tell about the useful role of the critters. Food Intruders adds historical information about Salem witchcraft and bad bread, the potato famine in Ireland, salmonella contamination, etc. 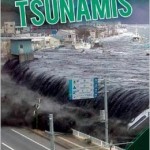 Though most suited for upper elementary, the books would be valuable in middle school for struggling readers. Recommended. The "Introduction," noting that "your body is home to more than 90 trillion microbes" will grab the attention of lovers of everything gross. Besides bacteria, mites also live on human skin, and while most are harmless, some are parasites. 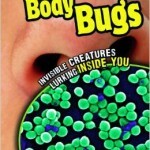 Viruses love nose hair, most of which the body can fight off. Another location for microbes is in teeth, but brushing will get rid of most of them. Some microbes, such as probiotics in the intestines, are helpful but others inhabiting the intestine such as E. coli, which comes from undercooked food or contaminated water, can cause severe illness. Having started with the head, Swanson finishes with feet with foot fungus and 250,000 sweat glands attracting the smelly bacteria that dine off sweat. Again, a glossary, bibliography/webliography, and index end the book.